Receiving payments from your website is important, especially if you have already configured the subscription packages and advertisements. To configure the Payment Gateway, you need to access your website’s admin dashboard, navigate to the Settings menu from the main panel and click on the Payment Gateways section. 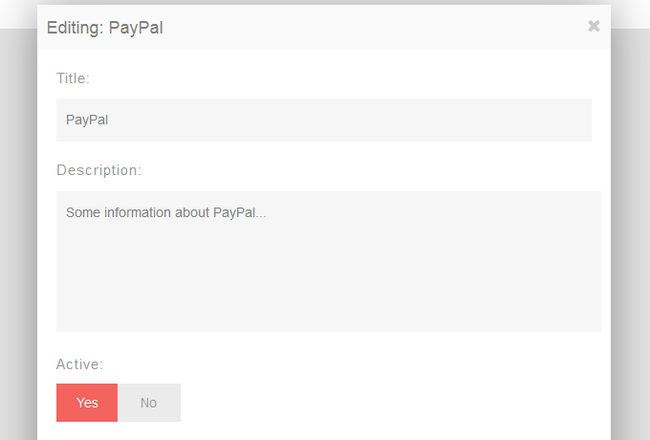 The default Payment Gateway in PHPFox Neutron is PayPal. 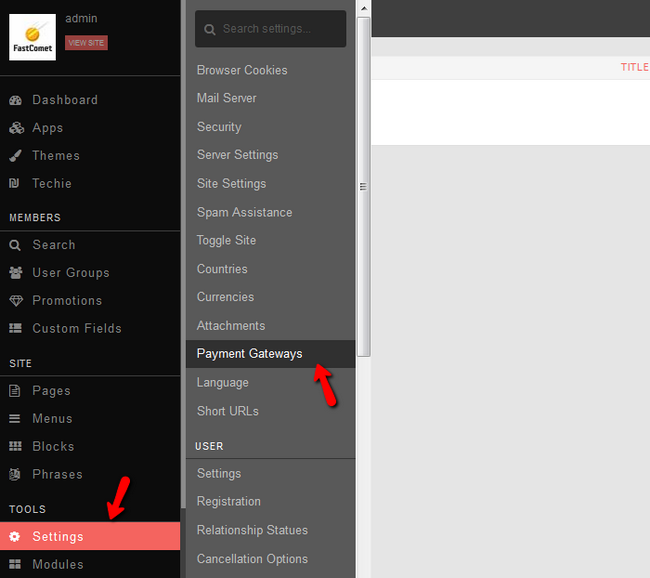 On this page you can see if the Payment Gateway is Active and if Test mode is enabled. You can also configure the Payment Gateway by clicking on the down arrow next to the PayPal name and click Edit Gateway Settings. Here you can change the Title and Description and also add your PayPal email address. When you are ready with the changes on your Payment Method, simply scroll down to the bottom of the page and click on the Update button to keep them.